(Steyer nd) describes the DK7ZB balun / match for VHF and UHF Yagis. To understand how the “DK7ZB-Match” works look at the left picture. Inside the coax cable we have two currents I1 and I2 with the same amount but with a phase shift of 180°. No. At any point along the coaxial line, a current I on the outer surface of the inner conductor causes an equal current in the opposite direction on the inner surface of the outer conductor. As the currents are shown with the designated directions, I2=I1, not I2=I1<180. A consequent simplification is that I4=I2-I3=I1-I3. There is an issue with the current arrow I3 in the lower right of the diagram. It might imply that the only current in the conductors is I3, but the current between the nearby node and lower end of the shield is I3-I1. If the structure was much much shorter than the wavelength, there would be negligible phase change in currents along the structure, so I1 would be uniform along the centre conductor, I2 uniform along the inside surface of the outer conductor, and I3 uniform along the outer surface of the outer conductor. The diagram notation does show that I3 (which is equal to the dipole drive imbalance) is uniform along the structure, and that I3 flows to ground. It seems that the diagram appears in (Straw 2003). If we connect a dipole or the radiator of a Yagi direct to the coax, a part of I2 is not running to the arm 2 but down the outer part of the coax shield. Therefore I1 and I4 are not in balance and the dipole is fed asymmetric. But how can we suppress the common-mode current I3? A simple solution is to ground the outer shield in a distance of lambda/4 at the peak of the current. So, the length of the structure is in fact a quarter wavelength electrically, or close to it to achieve the choking effect. I3 will be in the form of a standing wave with current maximum at the lower (‘grounded’) end, and current minimum at the upper end. It happens also that his usual configuration of this balun is that there is a standing wave on the inside of the coax, and so I1 and I2 are not uniform along the conductor, and whilst it is relevant to the designed impedance transformation, it is inconsequential to reduction of dipole current imbalance. But now we get a new interesting problem: For the transformation 28/50 Ohm we need a quarterwave piece of coax with an impedance of 37,5 Ohm (2×75 Ohm parallel). 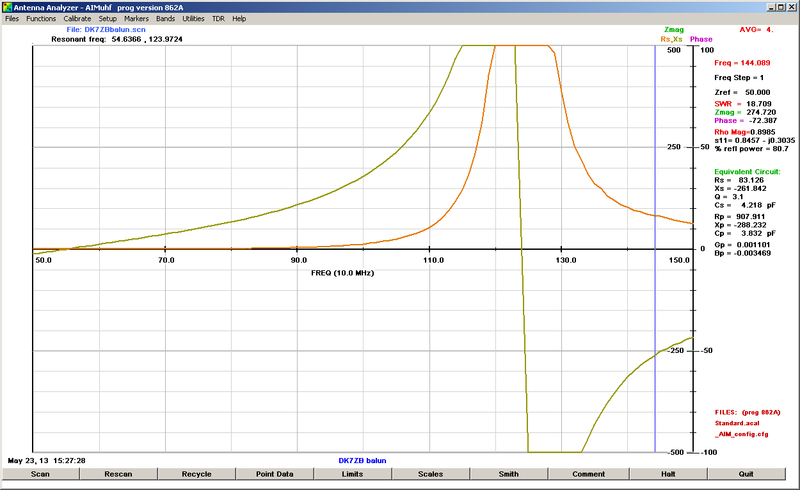 The velocity of the wave inside the coax is lower than outside (VF = 0,667 for PE). Above is DK7ZB’s implementation of his balun with the loop and additional inductivity . I copied the above implementation and measured the common mode impedance Zcm. Above is the Zcm measurement. There is a quite narrow self resonance where Zcm is quite high for about 10MHz bandwidth centred on 125MHz, but at 144MHz Zcm=83-j260Ω which is too low to qualify as a good common mode choke. Like all narrowband / tuned common mode chokes, tuning to the desired frequency band is essential to their effective operation. 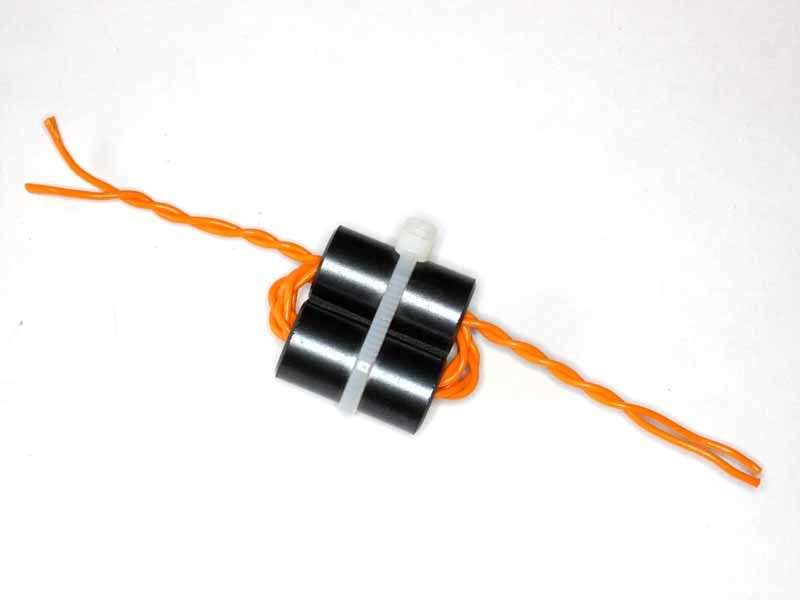 Like most published balun designs, this one is published without measurements to demonstrate its operation or effectiveness. Steyer, M. nd. The DK7ZB-Match for Yagis. http://www.mydarc.de/dk7zb/dk7zb-match.htm (accessed 27/10/15). Straw, Dean, ed. 2003. The ARRL Antenna Book. 20th ed. Newington: ARRL. 26.17. 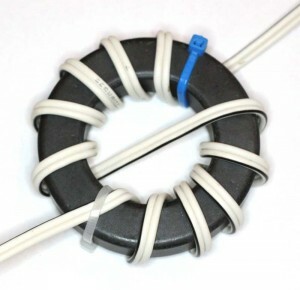 The article reports a simple experiment on the balun described at Low power Guanella 1:1 tuner balun using a pair of Jaycar LF1260 suppression sleeves to assess the loss with near zero common mode current. This test would not subject dielectrics to high electric field strength. 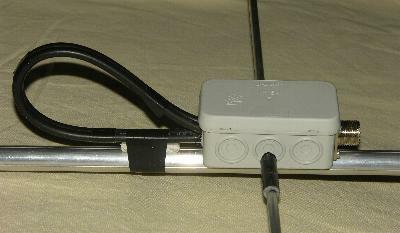 The balun above had the two wires at one end connected together, and a current of 1.41A at 7MHz passed between the terminals of the device at the other end. (Sevick 2001) discusses efficiency of transmission line transformers that use nickel-zinc ferrites in Chapter 11 “Materials and power ratings” applied to broad band baluns. 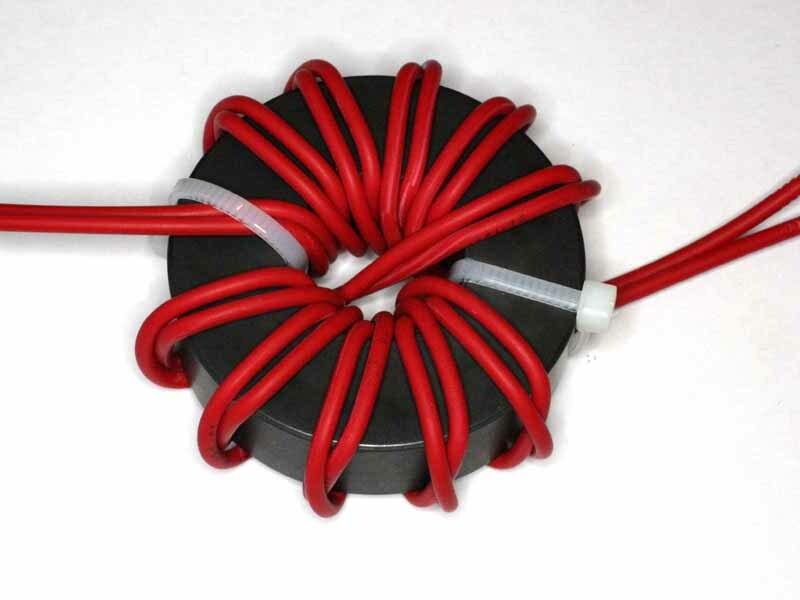 In Chapter 11 he reports a range of measurements of two different basic configurations, a 4:1 Ruthroff balun and a 4:1 autotransformer and uses nickel zinc ferrite cores of types that are no longer readily available (and none were the K and 52 mixes he is said to have recommended). The types of transformers he built are ones where core flux (and so core loss) at low frequencies is approximately proportional to the quotient of voltage impressed across the input terminals and number of turns, so core losses can be decreased by reducing voltage and/or increasing turns. These are Voltage Baluns, see Definition: Current Balun, Voltage Balun. 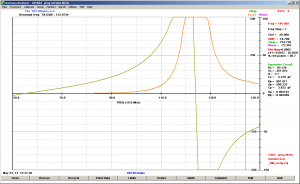 By contrast, the flux (and so the core losses) in Current Baluns is proportional to the common mode current times turns, and in antenna systems, that cannot be simply calculated using back of the envelope ohms law (though pundits often do it), see Baluns – Rule 500.